SHOT Show 2012 Media Day with Winchester Ammunition…and a ‘few’ others! 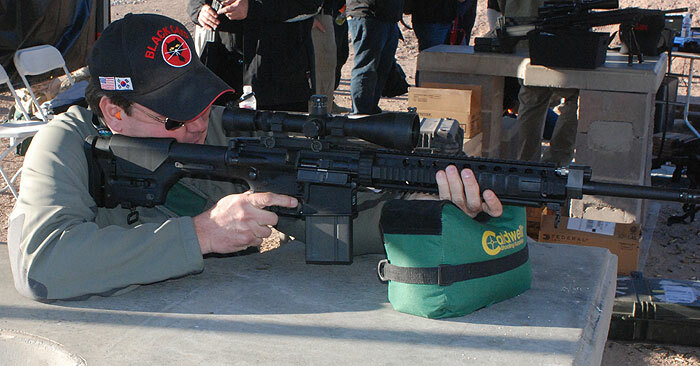 First covering Shotshow in 1997, perhaps it was about time to attend Media Day: I prefer to trial and evaluate new products in the field, so shooting at the public relations range event is more often just a redundancy…except when patterning shot and performing ballistics tests. It was also an opportunity connect up with a classmate of mine from my childhood days attending the Phoenix Study Group in Saigon. Bill Skinner, a freelance cameraman for CNN, CBS and a number of other media organizations, had finished his latest contract shooting for the US State Department in Afghanistan. So, getting away to enjoy one of his passions, tactical-style firearms, was a nice respite. There were the Armalites, Colts, Springfield Amory, Browning offerings—I ran through a nice .308 offering from Armalite that I’ll look forward to trying in the field for wild boar in Texas. After a few well-placed shots into the metal targets at Springfield Armory’s range with what is a sweet-shooting version of the 1911, the Range Officer, we walked up the hill to Winchester’s display of the new Razorback XT, in .223 Remington and .308 Winchester. Because of how the proliferation of AR-15 style rifles have inundated the market, and been effectively used in the battle against the overpopulation of ole Mr. Razorback in states like Texas, what better decision than to release a powder and projectile match as these rounds with a proper bullet to rip through hog hide and gristle and reach the vitals in a large pig? The Armalite offering for wild boar? 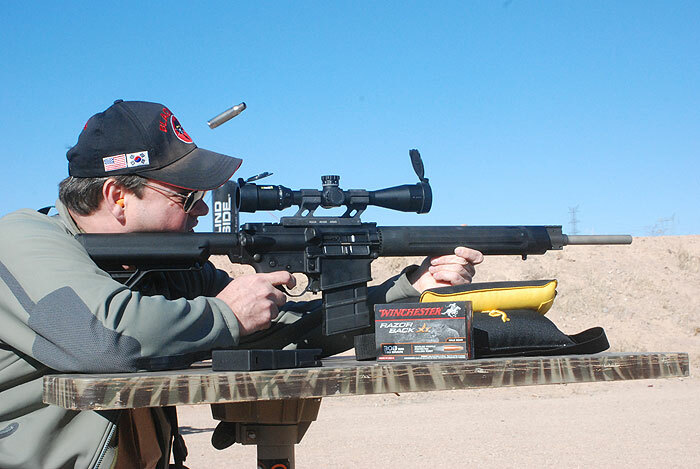 The Razorback XT .223 round was released in a 64-grain bullet, while the .308 version is delivered in a 150-grain. Some might think that a .223 round is a little too light for feral pig hunting, but up to 200 yards, this round does it job. For someone who hunts most of his feral hogs in California, and often in the lead-free zone of Central California, the non-lead attributes of the Razorback XT is a God send! It is specially designed to not start deforming until after having pierced the hog’s armor. Now, all we have to do is get around the legal restrictions of the AR-10 and AR-15 design in California, which is laughable. 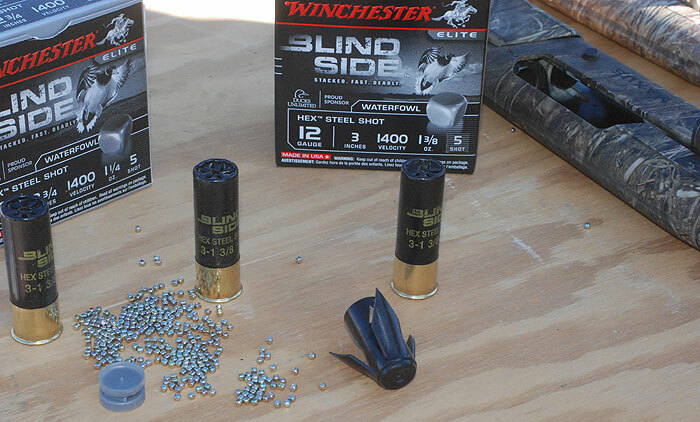 …Right after putting a number of Razorbacks down range, Skinner and I nwent over to the shotgun range to check out the latest release of Winchester’s wildly successful Blind Side. An impressive, light load that patterns well! Comments Off on SHOT Show 2012 Media Day with Winchester Ammunition…and a ‘few’ others! North to Alaska…The Gold Rush is On! Copyright © Cork's Outdoors.Original News Theme by .